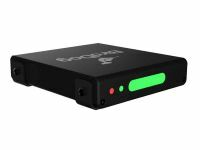 Start streaming high-quality HD video and audio with the LiveU Solo SDI/HDMI Video Encoder by connecting your camera or video device via SDI or HDMI. Leveraging LiveU's Cloud Service, you can easily broadcast to a large variety of content delivery networks, including YouTube Live, Facebook Live, Wowza, Ustream, and more, using bonded connectivity over dual cellular networks (requires separately available modems), Wi-Fi, or Ethernet. 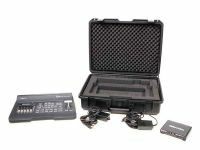 This plug-and-play functionality, combined with the power of LiveU's Reliable Transport protocol (LRT), enables a simple setup for high-quality streaming video with versatile distribution options as well as stable transmission, even when operating in remote locations. If operating remotely, use the internal battery to power the Solo for approximately two hours. Plus, the compact form factor won't bog down your production by weighing down your camera. The LiveU solo contains a robust and high-quality encoder based on LiveU's bonding technology and the integral LRT (LiveU Reliable Transport) protocol. Optimized for video performance, the LiveU Solo delivers high-quality video streams with minimal artifacting and dropped frames by using LRT's integral adaptive bit rate and Forward Error Correction technology. 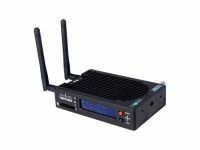 Designed to fit seamlessly with a variety of web streaming workflows, the LiveU Solo connects automatically to Facebook, Wowza Streaming Cloud as well as other popular CDNs and OVPs, and YouTube Live. Solo can be managed and controlled remotely via a web interface or smartphone. On the transmission side, and as part of the overall streaming solution, this small, easy-to-use encoder includes full bonding capabilities for maximizing transmission bandwidth. As a professional streamer, you can’t afford to lose viewers over a poor connection. Join a long list of professionals using LiveU Solo for a high-quality, robust live video stream: Publishers, Influencers, Photographers Educators, Vloggers and more! 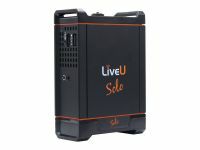 Solo uses the same technology major television broadcasters use today – LiveU Reliable Transport (LRT) – LiveU’s proven bonding technology. 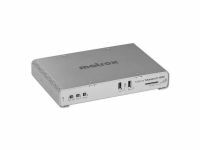 This patented technology and transport protocol is optimized for video performance and delivers rock-solid video streams.